Greece's economy at a turning point? The Greek economy may be reaching a turning point. At a Eurozone meeting this Thursday in Luxembourg, Finance Ministers will settle the final roadmap for Greece's debt relief programme. The Mediterranean nation has had 8 years of austerity and has lost a quarter of its GDP compared with pre-crisis levels. It's also lost more than 500 000 of its young, skilled professionals. Most of them have no intention to come back home any time soon, according to a recent survey of Greeks abroad by the ICAP. 36% of those surveyed said they would never return, and only 7% said they would return in the next year. The largest number of respondents - 46% - said they might return after 3 years. Lia Kourou is a 37 year old from Greece with a Masters degree from Newcastle University in the UK. A specialist in shipping economics she started out in her country's prominent maritime industry, but was confronted with poor working conditions. So, four years ago, at the peak of the crisis she began a new life in Luxembourg working for a shipping company. "No, nothing has changed. Despite all the sufferings that we've had to face all these years, nothing has changed." She added: "Why would I leave here where I have a guaranteed schedule of work and where I have free time for myself? Why go back to Greece's insecurity and uncertainty?" What can be done for Greece to stand on its own two feet? The European Investment bank has already financed business projects worth 10 per cent of Greece's GDP and is focusing on specific sectors to boost growth and jobs. Jonathan Taylor, Vice-President of the European Investment Bank, says they are continuing to focus on the transport and energy sectors. "I think it's important to carry on modernizing motorways, modernizing roads, modernizing the transport system generally and modernizing the communications between the islands and the mainland for example," he said. "There is no magic end point where suddenly everything is perfect. We just need to make sure that everything is moving in the right direction." But according to the OECD's Secretary-General, Angel Gurria, there still remains the question of Greece's debt. 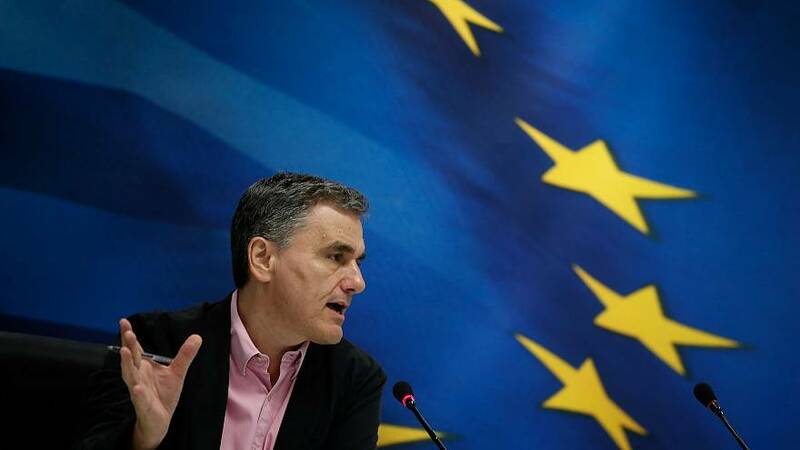 "Greece has already done its homework and it suffered the consequences, but it was courageous, and now you see the good side, the result of these reforms," he told Euronews. "But the question now is what to do with 180% of GDP debt?" That is a question that Eurozone Finance Ministers will be considering at Thursday's Eurogroup meeting.